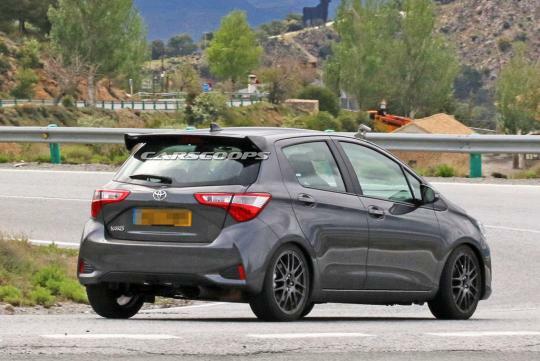 After showing off the Yaris GRMN at the recent Geneva Motor Show, spy photographers have caught Toyota testing a five-door variant of the hot hatch. As reported by Carscoops, the hot hatch appears to have most of what its three-door variant has other than the body-color mirror caps, chrome trim, and a stock rear bumper. These differences are expected to be replaced with the correct production parts in the future. Pictured in Southern Europe, the production car will have a supercharged 1.8-litre four-cylinder engine that pushes out 202bhp to the front wheels and will be paired with a six-speed manual gearbox. 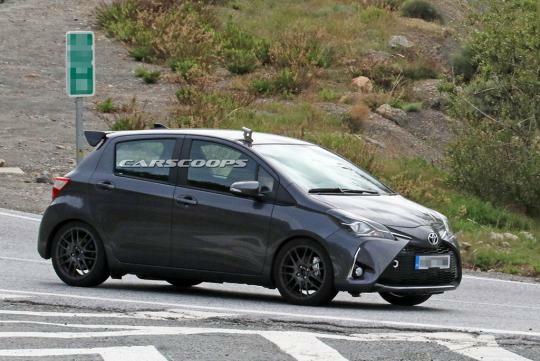 It will have go-faster parts such as 17-inch BBS wheels and a high-performance braking system . GRMN = Gazoo Racing Masters of Nurbugring.